Step-by-step instructions to create three featured projects. Bare Conductive Kit includes everything needed to get started including bare conductive paint. Link to Touch Board Arduino Plugin Installer for easy sound upload. Includes a growing range of online tutorials, guides, and project examples. 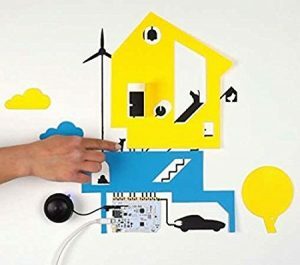 Excellent gift to introduce children and teenagers to circuits, programming and design thinking.